Another great place for spares (Arty least in the UK) http://www.espares.Co.uk – we’ve repaired the door on our otherwise perfect tumble dryer twice through them. Also Sugru (when you wasn’t a rubbery repair) and hot water mouldable plastic (can’t remember the brand name but Maplins sell it) are both very usefultoo! Andrew Fielding recently posted…The Poke publishes the best police tweets of 2013 – and the majority of them are from 2012! Ha! Yes, I was wondering about the category, you thrifty geek, you. Great resources, thanks! I hadn’t heard of Nos 1 and 2. I was going to mention sugru too! I haven’t had a play with it yet, but I bought my boyfriend some, I might have to get some for myself! sooz recently posted…Easy Green Actions, March 2014. 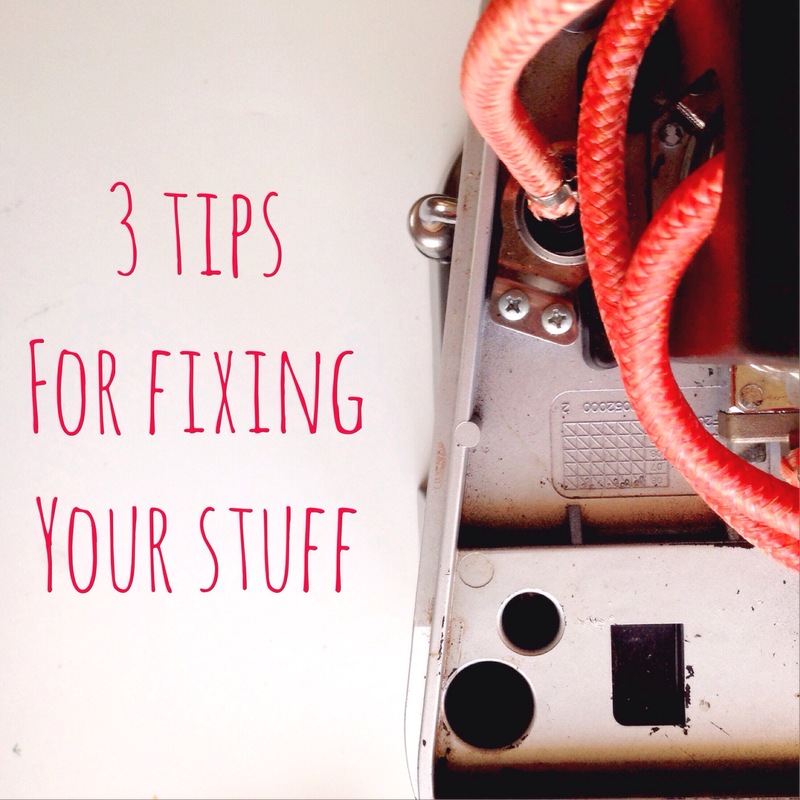 Love the ideas here: particularly ifixit. Thanks for posting this just about a week before I picked up my laptop by the top of the screen and cracked it… ditzy? me? I didn’t find exactly the repair on Ifixit, but it inspired me to search for a repair tutorial anyway and now I have a shiny new self-installed laptop screen at a fraction of the price of buying a new laptop I also got up the courage to take my camera apart and get rid of the nasty piece of dust that was causing black splodges on all of my photos. On another thrifty note, my bf came across a friend of his in the act of throwing out a lovely leather shoulder bag and persuaded her that it could have a new lease of life on my shoulder. For free. I am so proud of him! Keep up the thrifty work!